So there you are, after the recession and wiped out. Not the time for a knee jerk reaction. Count to ten, maybe. Well Frank Keane’s count to ten took him eight months and his decision took him from shock to choc! For twenty one years before the recession left him high (low, maybe) and dry, Frank had dealt in collectable ceramics in Kinsale, in the same premises where he now makes Koko chocolates. Things were good but, like many another, he got ambushed when the Tiger’s roar died, going backwards before the final “wipe-out”. What would he do now? What could he do. He looked to the kitchen. Under his mother’s influence he had always loved the kitchen. But, at fifty, he didn't want to start at the bottom with someone half his age telling him what to do. Chocolate was the answer that came to him. And so, four years ago, he took a short two day course with Benoit Lorge in Kenmare and has been learning ever since, and enjoying life, even if the commitment is huge - seven days a week. 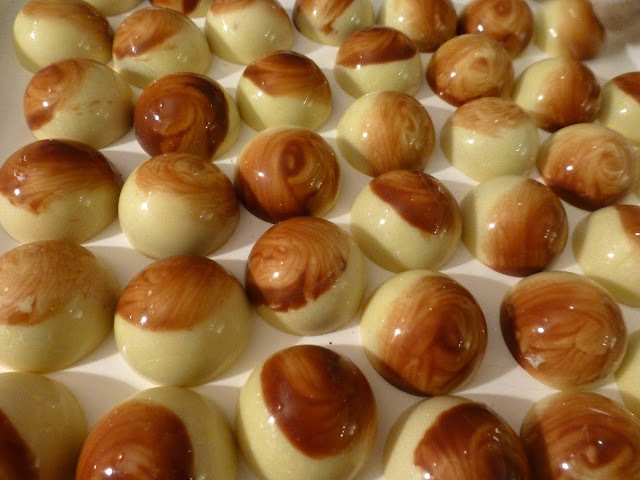 Ireland is a good place to make chocolate but even here the weather can be a problem. “On a wet day, especially with high humidity, the excess moisture can be a problem. And on a hot summer’s day, it is impossible to work." My favourite. Well, one of many! “Chocolate should be fun,” he says. “Put a smile on customers faces, adults as well as kids! I am often asked, Can you do this? I say I’ll give it a go and if it works it works”. He had an unusual request over the recent Bank Holiday weekend. His premises were to be one of the calls on a James Bond theme arranged by a wife as part of her husband's 40th birthday celebrations. The party group were split into fours and at least one group was calling to Koko where they would find a chocolate grenade and hidden inside was 007’s favourite drink, the Martini (shaken, not stirred). I had an envious look. 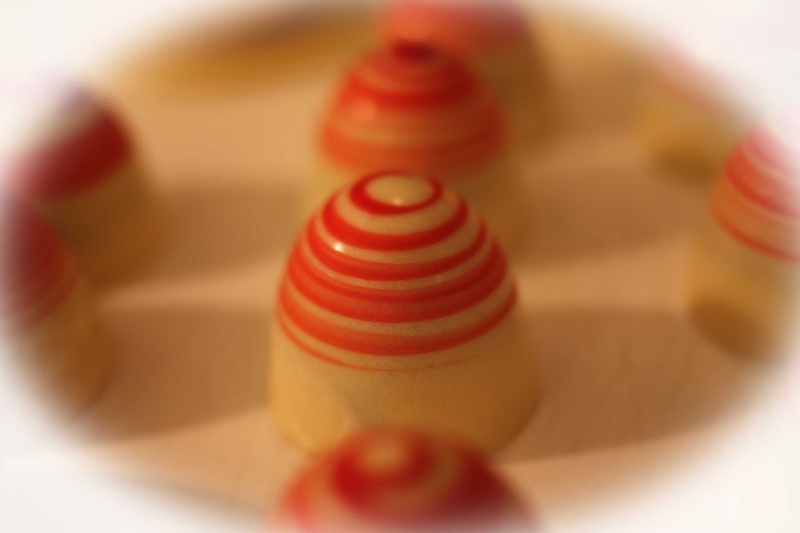 Frank makes the chocolate upstairs. We were sampling as we spoke and one that really caught my attention was the Ginger-Honey-Seaweed combination, a marvellous concentration of flavours and a very long finish indeed. Superb and as Frank pointed out, all three ingredients are good for you! Kirsch is another liquor that Frank uses. He uses Balkan Cherries, stones out, stalks on, and soaks them for ages in a big bucket of Kirsch. 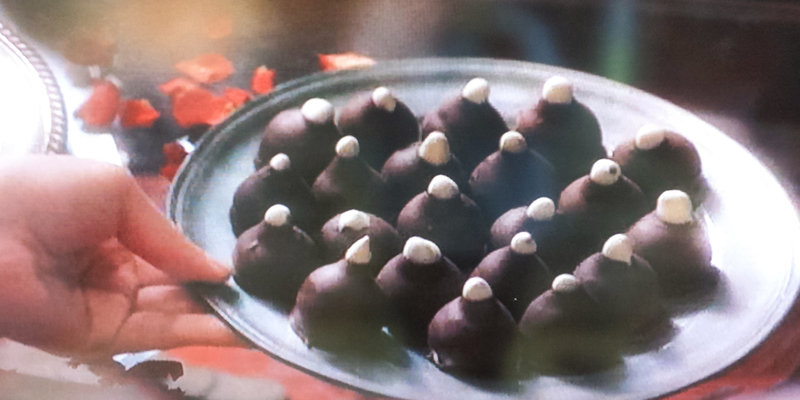 Then they are dipped in dark chocolate and are divine! He also uses the likes of crystallised orange and ginger. Christmas, fast approaching, is a peak time for Koko. And, as Frank relies on local customers (he doesn't do wholesale), he is always hoping for reasonable weather in the two weeks before the holiday, so that people can comfortably use the roads and get to Kinsale. And everything here is fresh. “Everything you see here was started in the last two days. You get fresh stock, nothing is old here, it just turns over.” Quite a commitment but he gets great satisfaction from his work and loves having his own business. By the way, he is right in the heart of the town, opposite the main car park alongside the tourist office. So do call in and take a look and while you are there you may also have a cup of coffee, maybe a hot chocolate? And, buying or looking, you are assured of a hearty welcome from Frank. This is a superfood according to Fiona Falconer on the Wild About Website. Maybe so, but in any case it sure tastes good. Smeared it over a piece of hake (from Ballycotton Seafood in the English Market) and it certainly enhanced the experience. 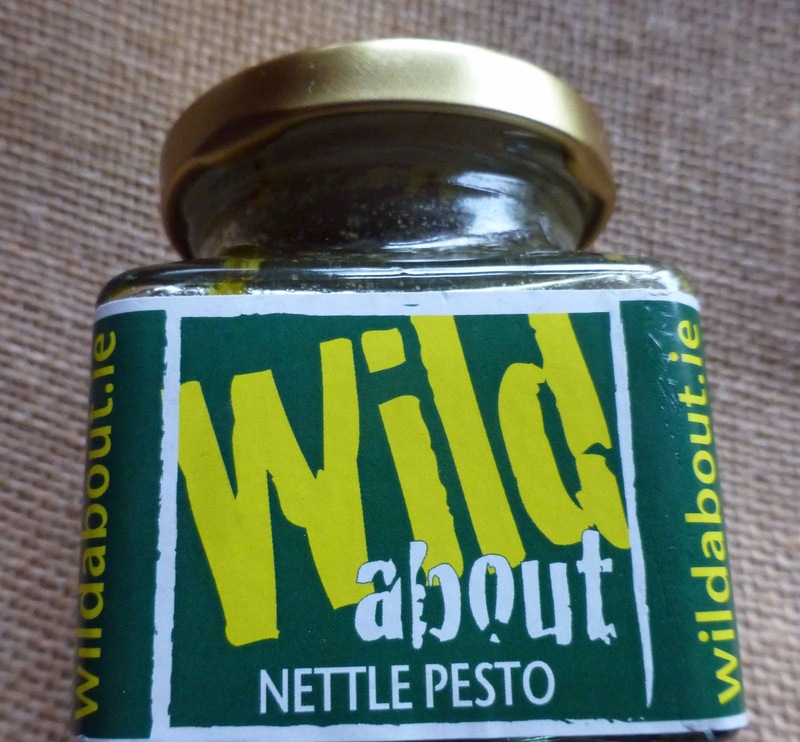 Our latest Taste of the Week, bought in the market during the recent Dingle Food Festival, is a versatile little gem and may also be used on chicken, lamb, veggies and pasta. 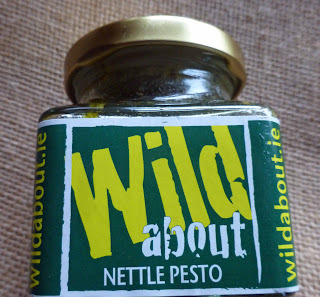 Check it out, and all the other Wild About products, on the very informative website. And a little warning, this is raw food and needs to be refrigerated straight after purchase. Otherwise, when opened it will bubble out all over the place. Experience speaking! * Did you see this recent video that I posted? It was commissioned by www.cork.ie and is about the English Market and us getting lots of hits. View it here. Go Visit the Diva. She can’t come to you! She can’t come to you! Get your share of these! 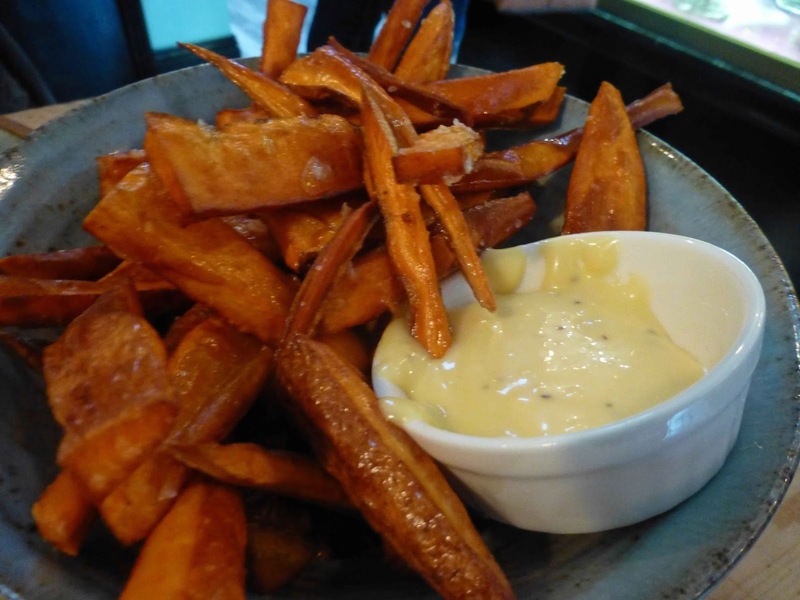 If you go to the Diva in Ballinspittle, and you should, and if you order a side of those gorgeous Sweet Potato Chips, and you should, then you should also mind your manners and do please share with the person you came with! If the team here, in their newly revamped kitchen, back in action (since 21.10.15) after months out due to fire, can get the small things right, and they do, there is every chance they’ll get the big things right. And they do. Big time. We called there for lunch last week and thought we’d have no problem by going early. We just about managed to get a table for two. Lots of different styles of tables here - it was after all the kitchen that got the revamp! But it is all part of the charm, as is the friendly service and the imaginative use of all that brilliant local produce. Indeed, one of the first things you’ll notice is the back wall (the left bit) as you go in. Here there is a huge declaration of provenance. Meat from Lordan's butchers in the same street, greens from Horizon Farms, vegetables from All Fresh, free range eggs from Beechwood Farm and fish supplied by James O’Keeffe. 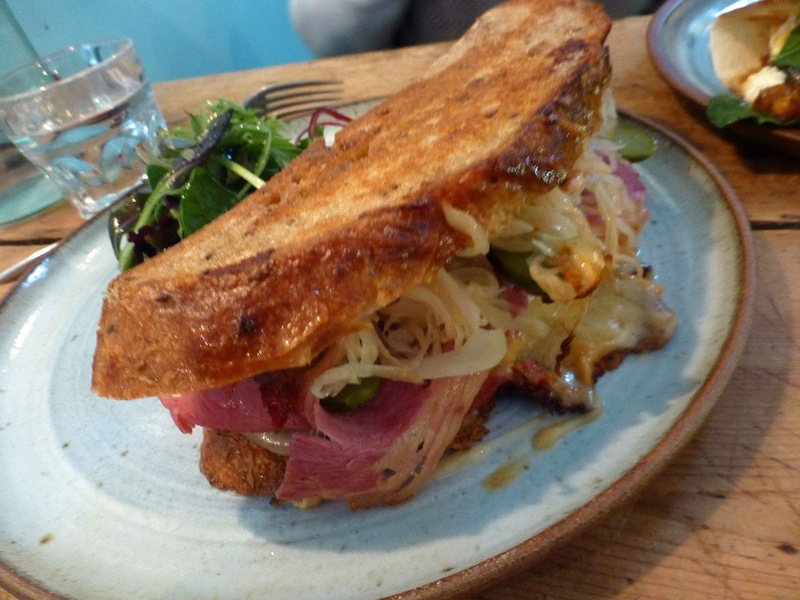 I had enjoyed a Reuben sandwich at the recent Waterford Harvest Fest and so was open to trying the Diva version. The Waterford one, in a Blaa, was very tasty but, in fairness, it was from a street food stall and could hardly be compared to the Champions League effort in Ballinspittle. Well, maybe New York rather than European. Massive, contained (not quite) in two large slices of their own bread, the length of my knife and about half the height, corned beef from Lordan’s, Sauerkraut, Gherkin, cheese and more. A magnificent Reuben. Worth the journey on its own. But it wasn't on its own. We had ordered a side of those Sweet Potato Chips. Put them with the Reuben and I had hit the jackpot, even if I did share! 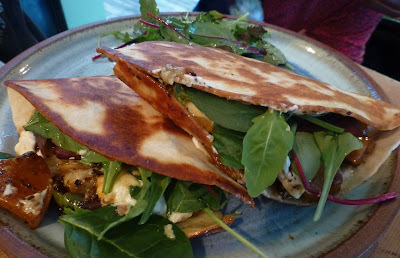 CL was enjoying herself as she tucked into her excellent Roasted Veggie Wrap, with goats cheese and a mango chutney. And a well dressed salad of course. And those chips, of course! We were sitting at a small table and directly opposite us was the counter and the utterly tempting display of sweet things. We settled for a pot of tea and two cakes from the display, sharing (again!) 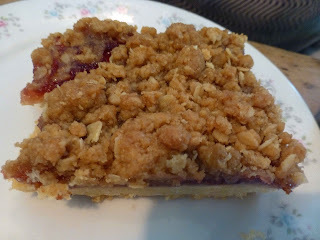 the Raspberry Crumble and an equally lovely Honey and Spice (ginger) Cake. 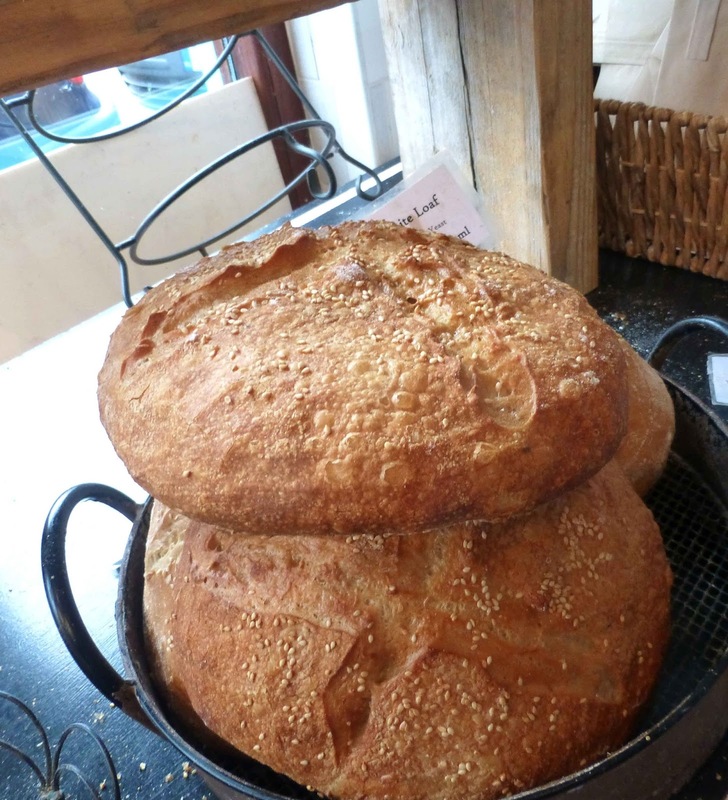 And after that, we said goodbye to the efficient and friendly folk in the cafe and strolled down to the bakery to see more good things, including produce from other local and Irish artisans. Some lovely breads on display - probably would have been more had we called in the morning. One that we bought was the Potato Loaf. 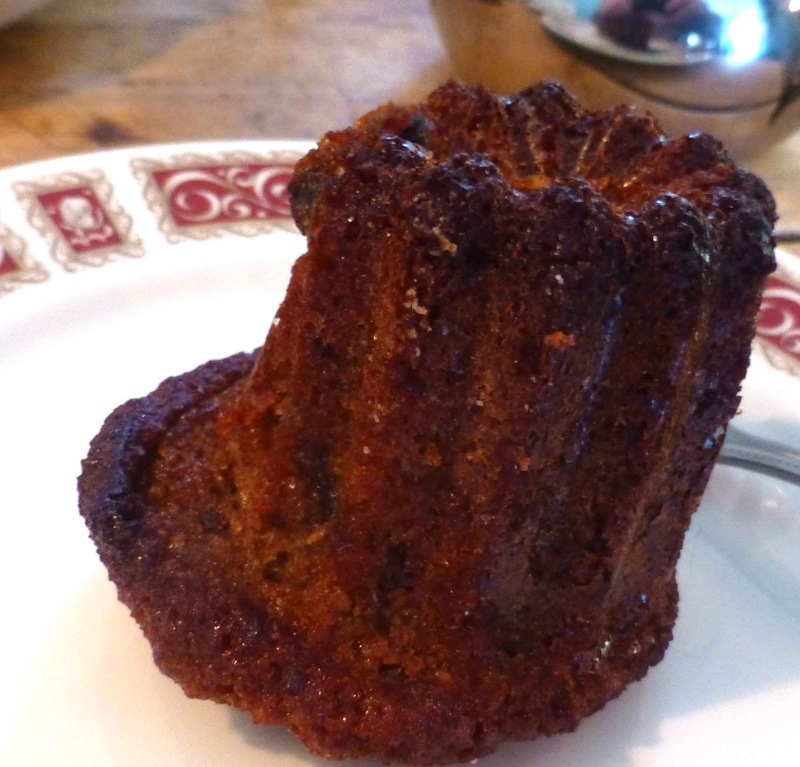 It is a delicious souvenir (didn't last too long, of course) of a pleasant trip to Ballinspittle. Very Highly Recommended. The Munster branch of the Irish Wine and Food Society were joined by quite a few others at last week’s Italian night in the Farmgate at the English Market. The menu was cooked in the style of Umbria (the green centre of Italy) by well known chef Adelaide Michelini, while the wines, chosen by the Farmgate's Mirco Fondrini from his home area of Valtellina (Lombardy), were making their debut in this part of the world. Mirco was delighted to be able to bring his hometown gems to Cork. He had quite a display ready as the fifty plus guests arrived. 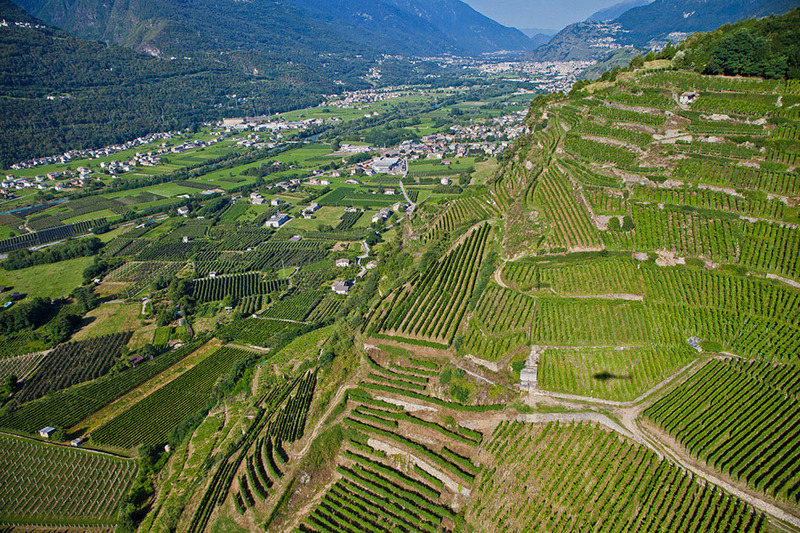 Valtellina is in the foothills of the Alps that Italy shares with Switzerland. 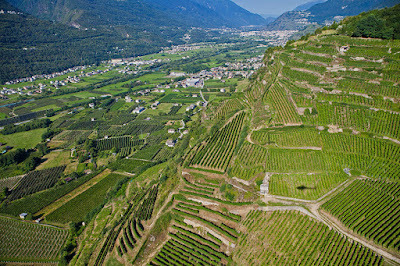 The valleys are deep and the sun reaches just one side, the side you'll see the houses and the vines on. Wine-making here is hard work but the Pietro Nera Vineyard in Chiuro thrives on it. Our opening wines as we arrived included the Terrazze Retiche di Sondrio Bianco IGT. The 2014 “La Novella” was made from a blend of Nebbiolo (vinified to white), Rossola, Chardonnay and Incrocio Manzoni grapes. 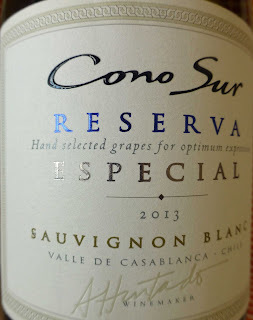 Quite a mix in the blend but this white, with its flavours of tropical fruits and balancing acidity, was a delight. 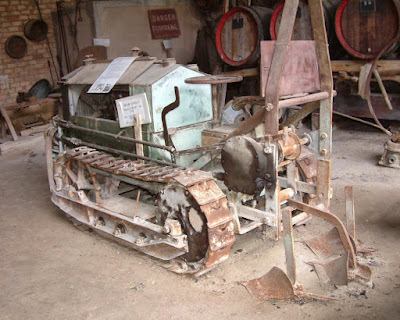 You won't see tractors in these vineyards! Some of us picked the 2010 Valtellina Superiore DOCG “Sassella Alisio” as our opening drink. This bright ruby coloured red, a blend of Nebbiolo, Pignola and Rossola, all grown in the village of Sassella, was a hint of the serious wines to come, once we had finished our opening canapes. One was Chicken Liver pralines with hazelnuts and cocoa beans, the other a Savoury choux with mortadella and pistachio. We continued with the reds as the meal was served, enjoying more of the Sassella before moving on to its older sister the 2008 Sassella Riserva, made from 100% Nebbiolo (called Chiavennasca in these parts!). The bouquet and hints of oak and the wine itself was strong, smooth and velvety. Our final wine was also 100% Chiavennasca, but with a difference. This 2009 Valtellina was a ”passito” wine, made from partially dried grapes, not unlike the Veneto’s Amarone della Valpolicella. This was quite concentrated, 15% abv also, rich in flavour and aromas. It had been aged for 18 months in oak, rested in stainless steel and refined in bottle for at least eight months. Quite a selection overall by Mirco. Maybe someone will start importing from his region! 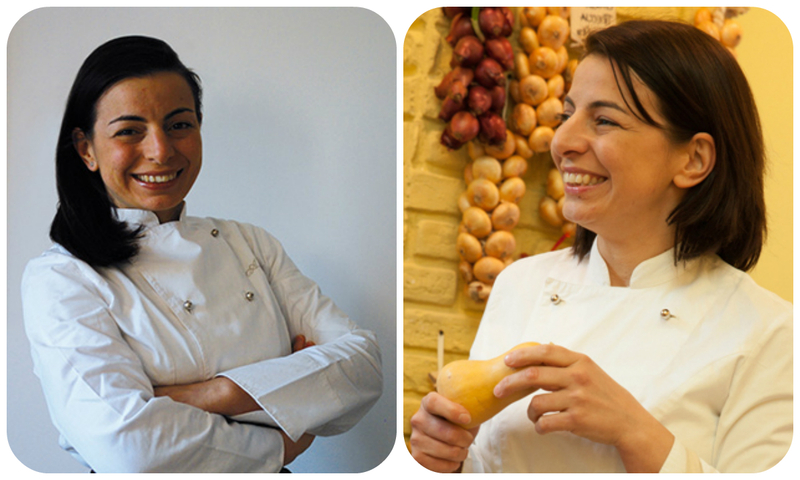 The position of Principal Chef Instructor for the Gambero Rosso's International Cooking Schools abroad - Bangkok, Miami, Seoul Hong Kong - has given Adelaide Michelini “the great privilege to bring the true Italian haute cuisine in the world”. Adelaide, now living in Cork, used local produce in her dishes at the Farmgate and the Antipasto was a Soft Truffle Egg with Potato Mousse. Then followed the Primo Piatto, a Toonsbridge Ricotta & Hazelnut Gnocchi in West Cork Swiss Chard Soup. And then we were on to the star dish, the Secondo Piatto: O'Mahony's Porchettina with fennel semifreddo and Autumn vegetables. 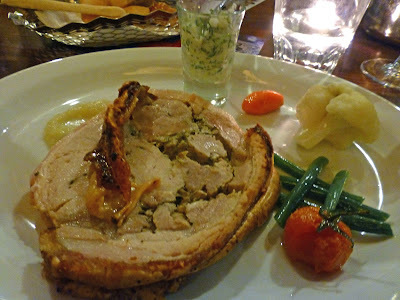 The perfectly cooked round of pork, with embedded herbs, was a delight in itself but the combination with the icy fennel took it all to another level. Perfect! The Dolce was described as Tiramisu...almost! Let’s says there was no shortage of cream, no shortage of coffee as the night with a difference came to a sweet end. Thanks to Mirco and Adelaide, and to Rebecca and the crew at the Farmgate. Sunday November 8th. Harvest Lunch in Longueville House. We will join William and Aisling O'Callaghan for a tour to see the orchards, presses and stills where they make their fantastic cider and brandy. After the tour and tasting, we will head to the house for a special harvest lunch. William and Aisling are great hosts, so this will be a really special day out. A bus will be laid on from Cork City so people can enjoy the cider and brandy. Buses leave Cork City Hall at 11am. Price for bus and tour, tasting and lunch €65 (€73 non-members). 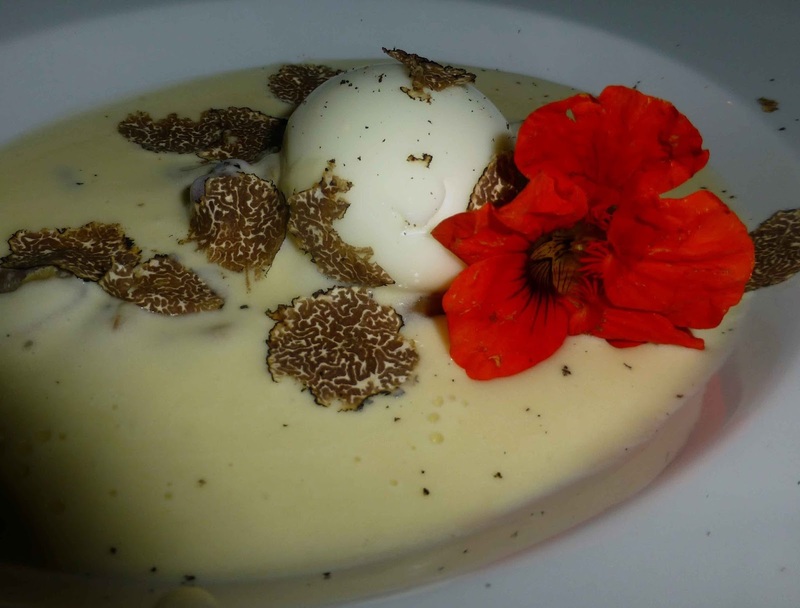 Try the Fonduta in the bowl. The annual Franciscan Well October Beer Fest is in full swing at the North Mall. A wide selection of imported Festival beer is available, beer cocktails (with spirits by St Patrick's Distillery), pizza by the tried and tested Pompeii crew, and music is all part of the mix. 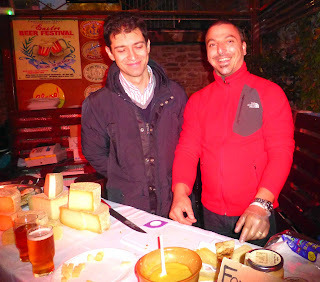 But this year, they've got cheese, lots of it, from a company called Antica Latteria Bruzolese who are based in Borgone di Susa, close to Turin in the north of Italy. There are a few dozen exotic beers from Belgium, USA, Germany, New Zealand, Ukraine, even Luxembourg! I didn't get to try them all in a quick tour last night but did get a few. The Sierra Nevada Oktoberfest/Marzen, a collaboration with Augsburg’s Brauhaus Riegele, was one and the Tuatara Aotearoa Pale Ale another. Then there was the Karpat Mustang from Ukraine, an American Pale Ale, and also I enjoyed a glass of the Lagunitas Fusion XXX1, a USA Imperial IPA weighing in at 8.9%. My favourite was perhaps the Aotearoa from New Zealand. Then I left the ranks of beer taps and called over to the cheese stall and got the low-down there. Bought a plate of the cheese for a fiver and tried it out. The range, all made from milk supplied by small farms in the Piedmonte region, consisted of some fairly fresh cheese to one that was very mature indeed. All were “hard” cheese but, of course, the younger ones were soft and easy to eat, much like Tomme de Savoie the French mountain cheese. The oldest one was really hard, best grated over your pizza or salad etc. In between, they had a Tometta Onion. That contained six per cent onion - not to everyone's liking! And also a Tometta Tomato. And if you wanted an instant fondue, they have just the job. Get yourself a jar of the Fonduta (€6.00). All you then have to do is to warm the cheese mix, pop in a breadstick and enjoy. Don't take my word for it! Call over to the Well, get yourself a beer and then go to the cheese stall where they'll offer you a taste of the Fonduta! In fact, I’m told they will have an artisan beer there for the rest of the weekend. The October Beer Fest reopens today at 2.00pm, same time tomorrow Sunday. Happy 60th Cork Film Festival! Celebrate with Film. And Food! 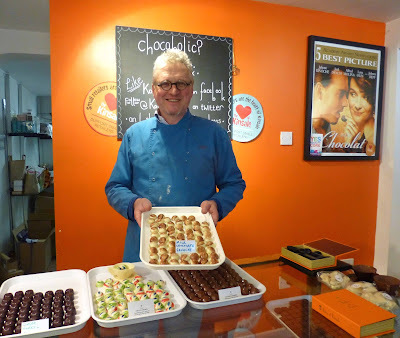 Chocolat is one of my favourite films and it is featured as part of the "culinary strand" in this year's Cork Film Festival, the 60th edition. This rather special showing will be in the Farmgate and other culinary highlight venues include Ballymaloe and Christchurch. The opening element of the culinary strand this year will be the Fab Food Trail and will see twelve guests treated to some of the best produce Cork has to offer. 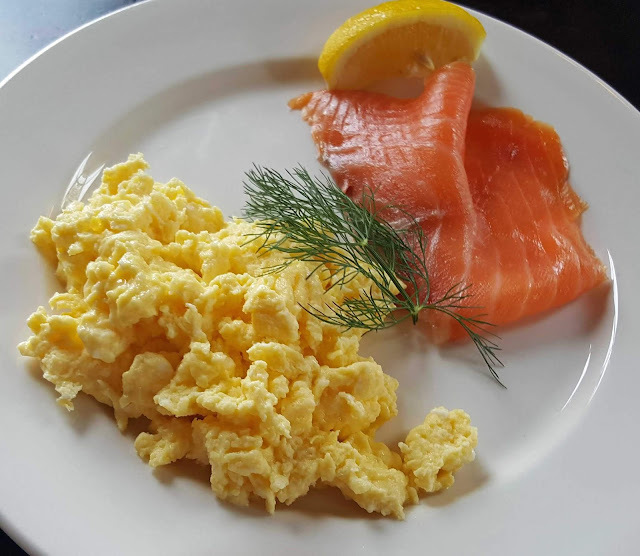 An experienced and engaging guide will lead the way on this walking tour as the lucky few sample the finest foods from cheese mongers, fish mongers, butchers, bakers and more. The event will culminate with a screening in the beautiful Triskel Christchurch of the Japanese film An (Red Bean Paste). An (2015) is directed by Naomi Kawase, and tells the story of a 76 year old woman, Tokue, who responds to an advert for a pastry kiosk. 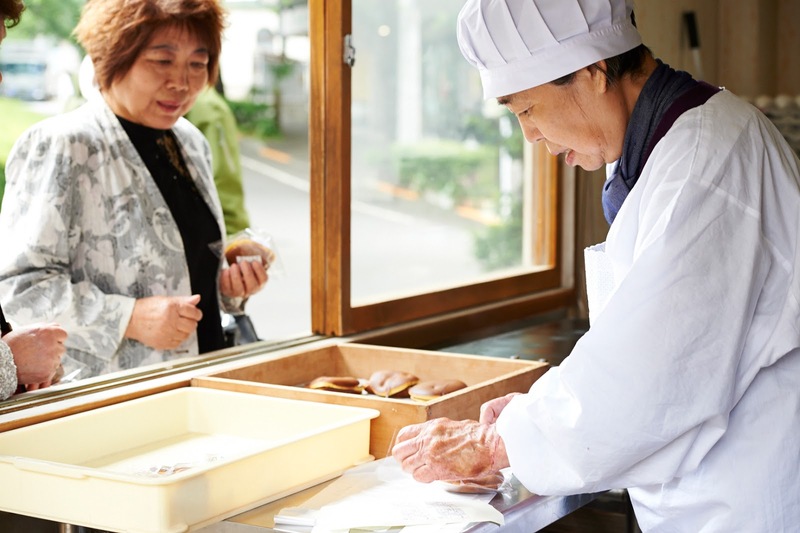 Initially reluctant to hire Tokue, the owner quickly realises he has struck gold when he tastes her beautiful red bean paste (An). Tokue strikes up a bond with a shy school girl, Wakana, who is a regular customer and the three prove to be a unique unit until they are suddenly split apart. Following on from last year’s festival we will see the return of the hugely successful event in the Farmgate Café in Cork’s English Market. This year, the screening is the French classic Chocolat (2000) directed by Lasse Hallstrom. 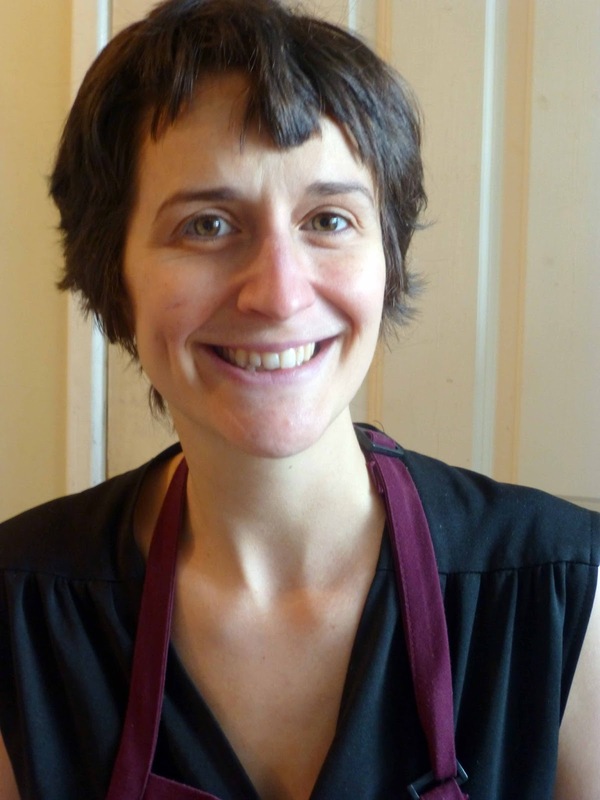 The film sees you drawn into the world of Vianne Rocher and her daughter Anouk as they open an artisan chocolate shop in a conservative French village. Starring some of the best known names in the industry including Johnny Depp, Dame Judy Dench, Alfred Molina and Hugh O’Connor (who also has a film in the Festival this year). This event is sure to be a treat. The menu will be a Chocolat inspired menu. An exciting addition to the culinary strand this year will be the inclusion of the Ballymaloe Grainstore event. This unique evening will see guests enjoy a fabulous meal in the classic Ballymaloe House followed by a screening of Some Like It Hot (1959) in the beautifully converted Grainstore. Some Like it Hot is a multi award winning comedy featuring performances from stars such as Marilyn Monroe, Tony Curtis and Jack Lemmon. Set in 1929, we follow the exploits of Joe (Curtis) and Jerry (Lemon) as they create female identities to evade the Mob, skip town with a travelling band and vie for the affection of Sugar Kane (Monroe). Lose yourself in Wilder’s hilarious masterpiece in the truly exceptional setting of Ballymaloe Grainstore. In Neil Young’s song “Helpless” you hear this line: All my changes were there. He was referring to his hometown in Ontario, Canada. Allison Roberts is also from Ontario and naturally enough had some moulding there. 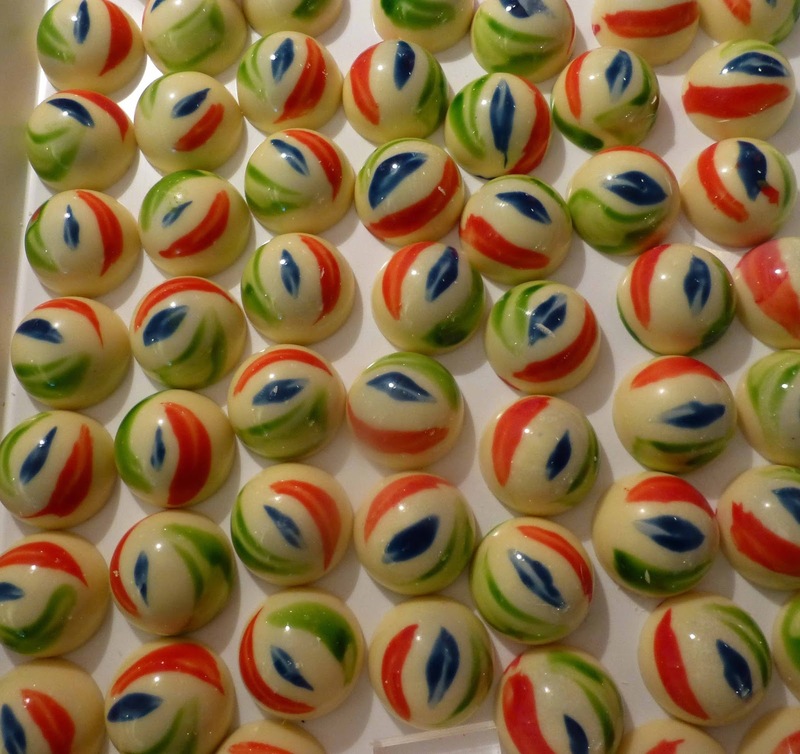 One that would last came as a result of her following up an ad in a local shop window for a chocolate making course. That skill didn't bring her to Clonakilty but it was a major factor in her staying in West Cork where she now makes delicious Fairtrade chocolate in a room at the back of her house on a hill overlooking the town. That early course saw the 12 year old invest in a set of moulds, including a turtle. 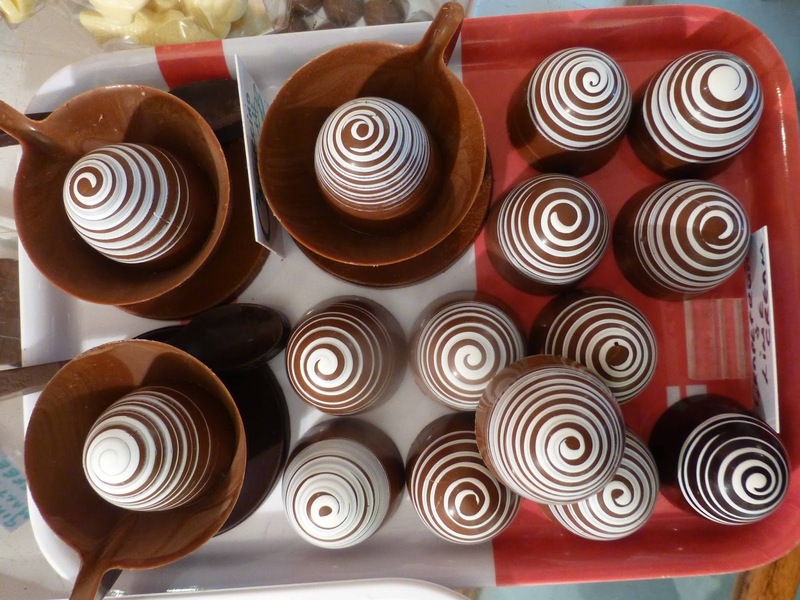 And for “years and years, at Easter and at Christmas, I made mypocket money by making and selling chocolate”. Growing up and attending university, she began to realise the negative impact of globalisation and was “always inclined” to Fairtrade. Years later, after traveling and stints living in Taiwan and Australia, she arrived in West Cork for “a six months stay”. And, of course, one of the first things she saw were the signs on the way in to Clon declaring it to be Ireland's first Fairtrade town. It was a sign in more ways than one. And then there was another, more practical, sign that would lead to that six months going on and on. 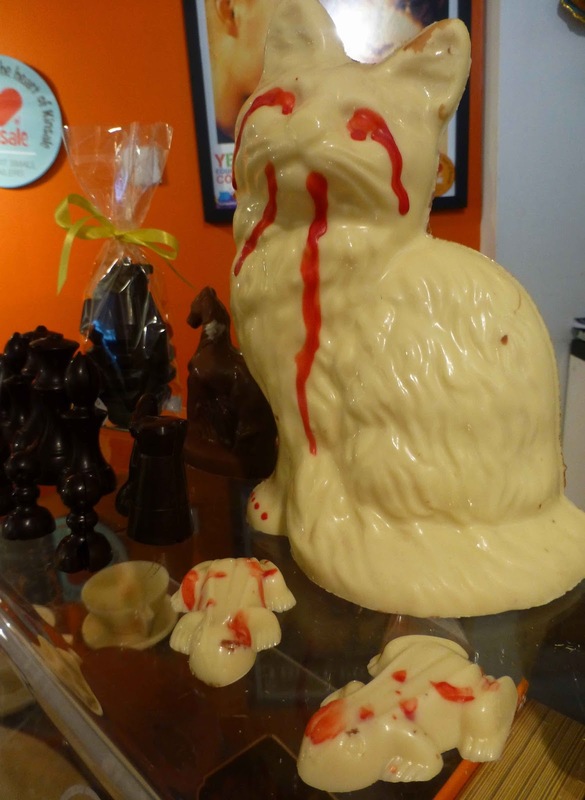 A local shop was looking for local chocolate. Allison sent home for the moulds, including that turtle, and went to work. “I like local but cocoa is faraway. Be aware of where your stuff comes from. All mine comes from Africa.” Indeed, it all comes from a group of farmers in Ghana, the Kuapa Kokoo Fairtrade Farming Co-operative. Allison visited there in 2013 as a representative of Fairtrade Ireland and you can read and see all about it here. The chocolate is made in a large back room in the house that Allison and Justin share and where baby Ari is the most recent chocolate loving addition. He was very quiet during our visit and Allison said it's great to be able to work at home and keep an an eye on her son. She has two employees now. Mondays, Tuesdays, and Wednesdays are production days. 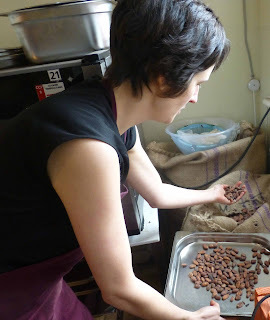 Thursdays are spent bagging and labelling while Fridays see her at the local market. If you visit Clon on a Friday, be sure and check out the market and you’ll see Allison and her bike which she uses both for transport and display. 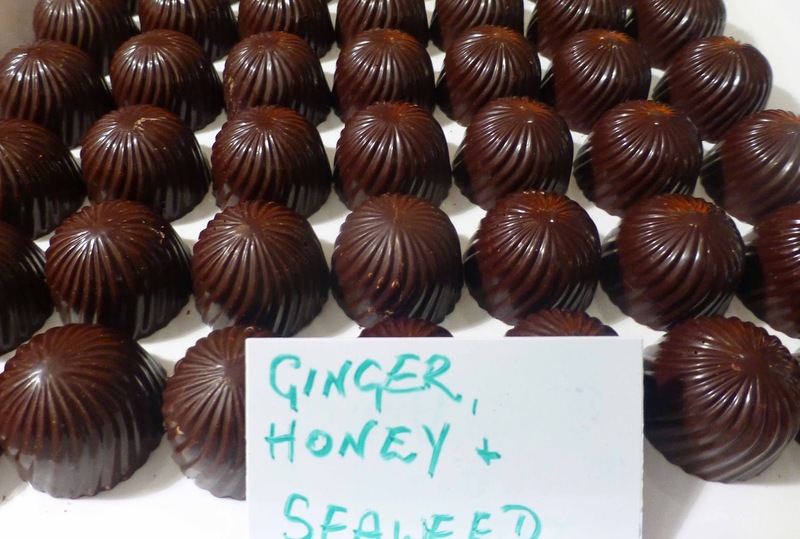 You can buy the chocolates at the markets, in many shops in the town, in Cork city and in quite a few places around the country. See the full range of stockists here. Allison would love to get her bars and treats into other markets but obviously can’t cover them all herself. So if you have a suitable established stall, perhaps selling other similar products, why not get in touch via the website contacts. 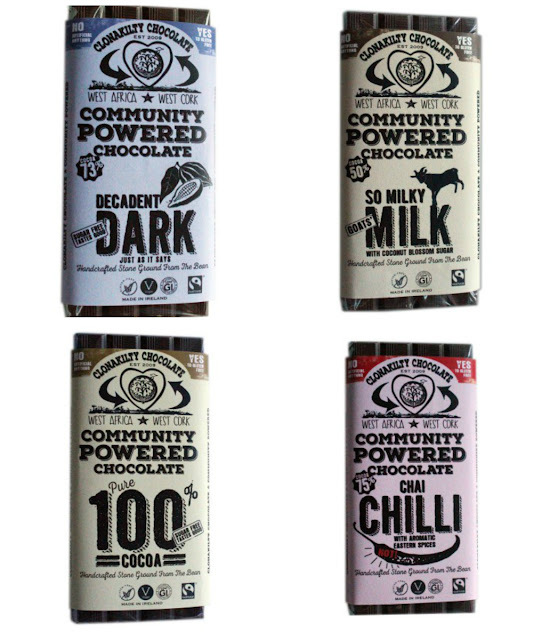 If you’d like to buy and there is no stockist near you, then check out the online shop - it includes a Choco-Lovers Club! As well as the beans from Ghana, she also uses milk. She can get powdered cows milk in Ireland but has to import the goats milk equivalent from Holland. The Goats Milk bar (So Milky Milk) is one of my favourites and I was surprised to hear her say that it is “controversial”, in the sense that people are either for it or against it. Luckily though, the majority love it! 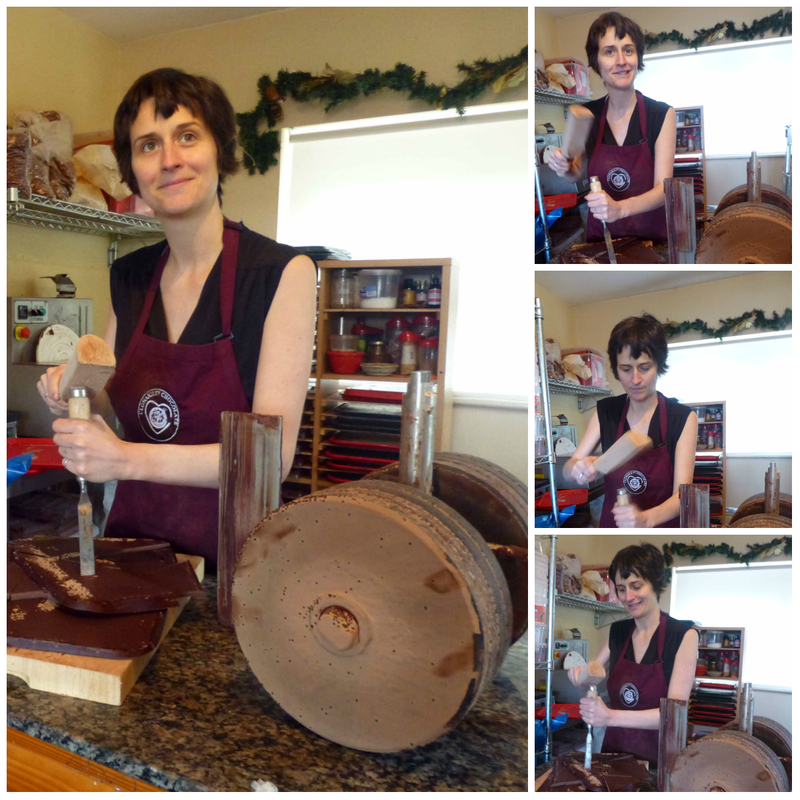 She is also “super delighted that the 100% bar pure Cocoa Bar is going really well, even if it's not the best seller”. What is her own favorite? “That varies from time to time. At the moment it is the Chai.” She could well be selling a lot of these bars in the months ahead as “it is the Christmas one”. And there was a Christmas feel as we left the chocolate house - we finished off with some of her fresh truffles. Gorgeous! And before we said goodbye, Allison had a word for a fellow local producer. She told us the Clonakilty Brewing Company was about to hit the market after Christmas. Watch out too for Allison herself as she features in a Christmas edition of Rachel Allen's Coastal Cooking. Musician Justin featured in the first! 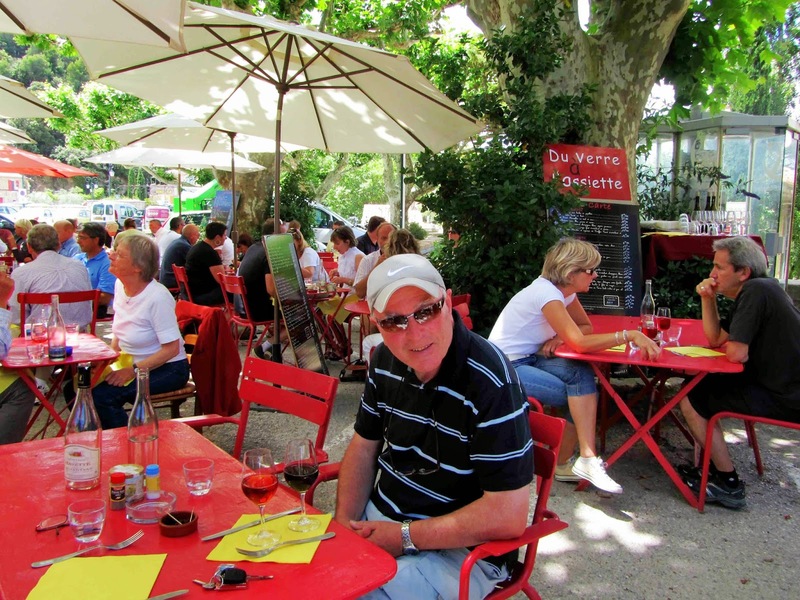 Let’s take a red wine trip in France, not all encompassing by any means. 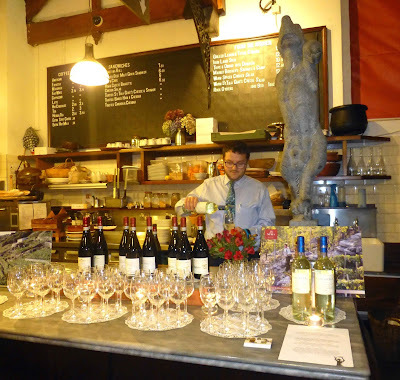 Indeed, I’m being a bit contrary here as two of our areas visited, the left bank in Graves and the Loire valley, are perhaps better known for their white wines. But they've got some red gems from those gravelly soils as well. Clos Floridene Graves (AOC) 2011, 13.5%, €16.35 Maison des Vins, Podensac. D’accord, let us begin in Podensac, in Graves. It’s a small enough town with a nice restaurant called Chez Charlotte where a three course meal cost me €22.00 in 2014. The friendly proprietor speaks good English and is also proud of the area, listing the main attractions as Charlotte (big smile! ), the Lillet Distillery, the Maison des Vins and the fact that they have a water tower by the famous architect Le Corbusier. 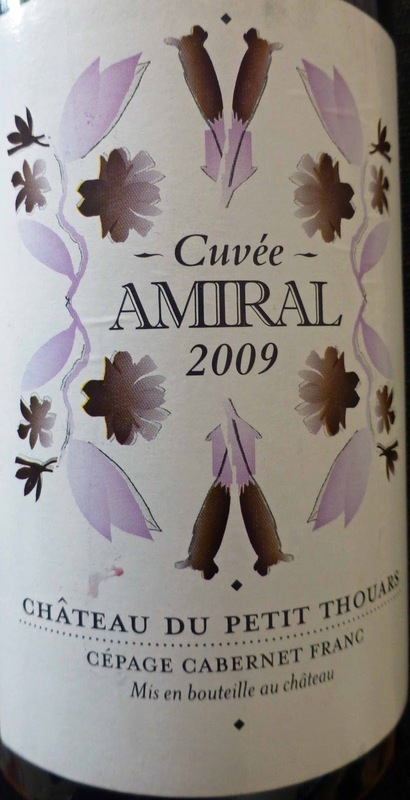 Denis Dubourdieu is also renowned in the Bordeaux area but as a wine-maker. In 1982, he and his wife founded Clos Floridene. This wine is a fresh and fruity blend of Cabernet Sauvignon (72%) and Merlot (28%). Colour is a deep garnet and blackcurrant dominates the aromas. 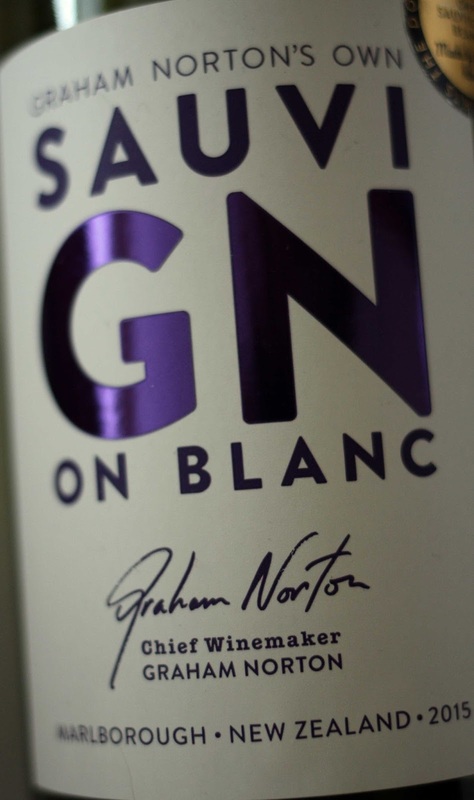 The palate is an intense mix of fruit, and tannic flavours, some spice too and, with a long silky finish, this left bank red is Very Highly Recommended. Colour is cherry red, a shiny one! Ripe red fruits and violets feature in the aromas. 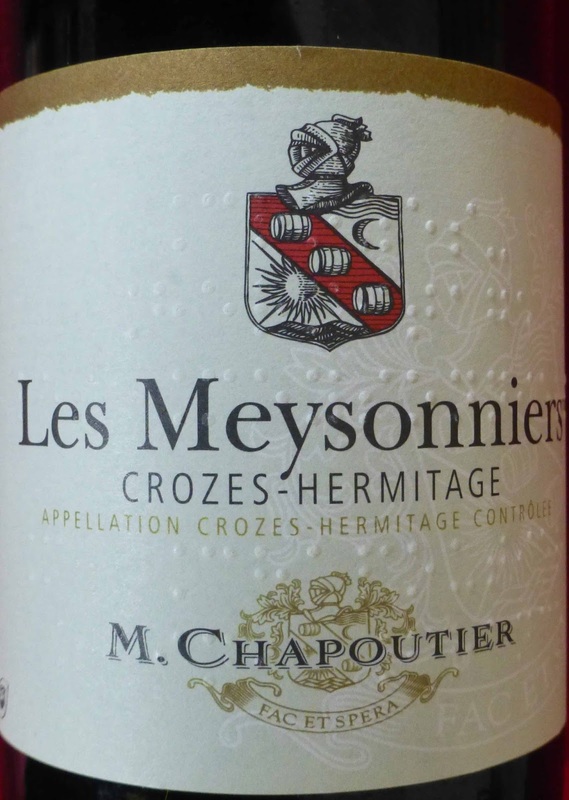 On the palate, there are excellent fruit flavours and a matching acidity, fine tannins at play here too. Rather powerful, with some spice, dry and warm and a long finish. Very Highly Recommended. 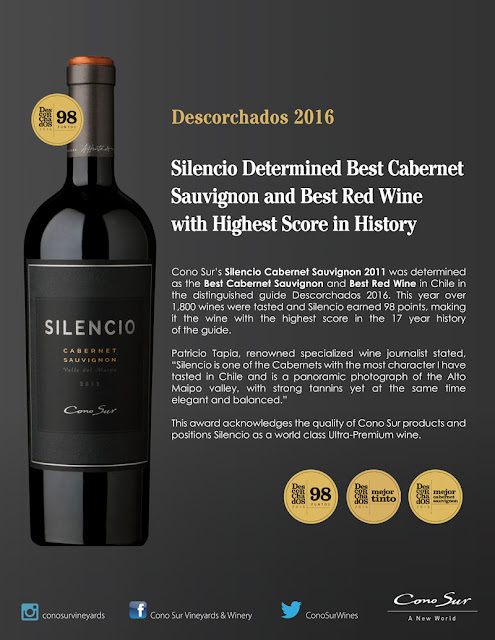 The blend is 70% Merlot, 25% Cabernet Sauvignon and 5% Petit Verdot and it has spent 12 months in barriques. The chateau is located in the heart of Martillac and its clay-limestone soil was newly planted, mainly with Merlot, in 1998. Owners are the Gonet family, well known as owners in the Champagne region for over 200 years. Martillac is a commune in the Pessac-Léognan area which itself is in the outskirts of Bordeaux and includes the legendary Haut-Brion. 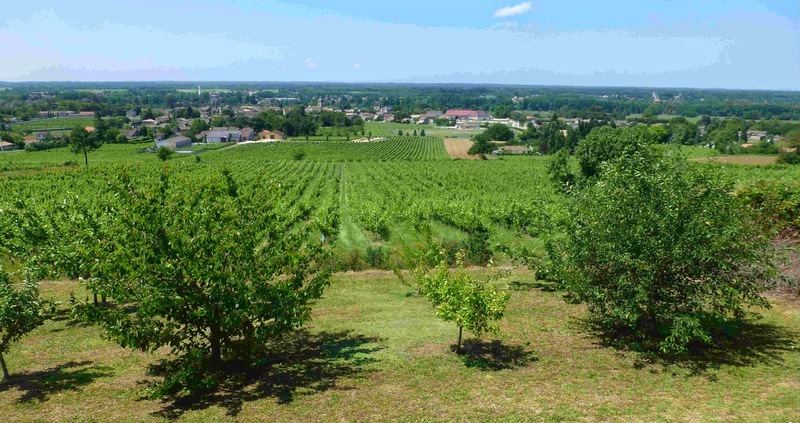 Let’s now take the L'Autoroute des Deux Mers from Bordeaux towards Narbonne - you’ll be glad of a glass of wine after driving around Toulouse on the peripherique - and head for Corbieres, one of the biggest appellations in the Languedoc. We are tasting another blend, this of 80% Syrah and 20% Grenache, from vines whose average age is 50 years. It has spent 12 months in barriques bordelaises. Colour is a dark red with a lighter rim. Intense red fruity nose along with some spice. The attack is fairly intense, fruit and pepper combining, round tannins there too, but it is smooth and warm as it spreads across the palate to a long dry finish. Powerful and concentrated, this too is Very Highly Recommended. It is just a short trip from the Languedoc to the Southern Rhone where most of the generic Cotes du Rhone is produced. Grenache is usually the main grape, as it is here with over 40%; its companions in this bottle are Syrah and Mourvedre (the usual suspects in the GSM trio) along with Cinsault. Quite a light red with pleasant enough red fruit aromas on the nose. This basic wine of the region illustrates why the Cotes du Rhone is so popular and so well known in Ireland. It is well balanced, round and full with some spice and the tannins remind you gently that they in play. Recommended. O’Donovan’s choose this to represent France in their recent Rugby World Cup promotion though they picked an even better French wine (Chateau de la Ligne) to represent Ireland! The highly respected winemaker Michel Chapoutier, one of the big names in the Rhone (ref: Larousse) is an uncompromising terroir lover and committed too to organic and biological winemaking, preferring to “use the power of life” rather than “the power of death”, the -ides (herbicides, pesticides etc), in the vineyard. He doesn't like to see wine being over-analyzed as it takes the fun out of it and you’ll note that all his labels are marked in Braille. And, yes, as well as talking the talk he walks the walk. Just take a glass of this hand-harvested foot-treaded Syrah from the Northern Rhone. It is in the classic style, fresh and fruity. Colour is a medium to dark red with a bright hue. Aromas are of ripe red fruit. The initial fresh and fruity attack is long lasting, tannins there too but smooth; it is ample and round and then the long finish. 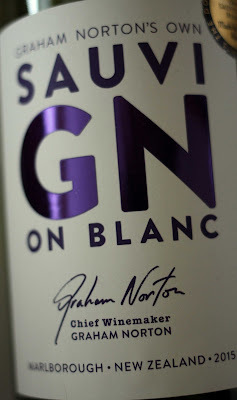 Superbly balanced wine and Very Highly Recommended. On the Loire. I was safely on the bank, glass in hand! After the Rhone we head to the north and to the area around the town of Chinon in the Loire which we will leave with the boot full of wine and just a short journey to the ferry port of Roscoff! “Many great men of our family served in the French Navy,” owner Sebastien du Petit Thouars told me when we called to his chateau near where the Vienne and Loire rivers meet. 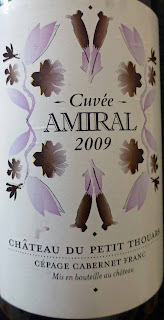 And so, in memory of those great men, he called his top wine Amiral. Colour is a deep red, close to purple, with a great sheen. Red fruit dominates the intense aromas. Fruit, fresh, juicy with a lively acidity and a pronounced dry and lengthy finish. Tasted this first when I bought it two years ago and it is definitely heading in the right direction. Only trouble for me is that this was my last bottle of the Very Highly Recommended wine. By the way, du Petit Thouars wines now come under the Chinon designation. Blair Boys Talk the Talk And Walk the Walk. Grey’s Lane Bistro. Sign of a Good Meal! Son of a Bun know their Beef. In the Pink!